Joe Lynn Turner is a man that has fronted two of the biggest bands in rock history (Rainbow / Deep Purple) with a voice that epitomizes the genre. With lethal injections of blues and soul, he has made his extraordinary voice a staple on classic rock radio, and in the hearts of millions of fans. After more than three decades of lending his vocal touch to more than 100 records, Joe Lynn Turner continues to be a prolific force in modern music. 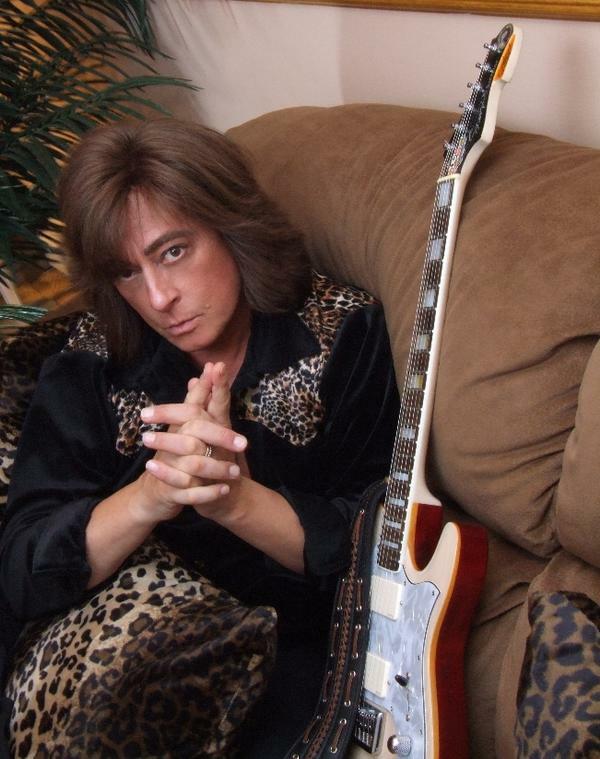 As I was preparing these questions I started to think about the many facets of Joe Lynn Turner. Yes, we all know about his classic days with Rainbow, but not too many realize that Turner has also worked with the likes of Cher, Billy Joel, Michael Bolton, Glenn Hughes, Yngwie J. Malmsteen, Lita Ford, and a host of other enormous names in the industry. Besides doing steady work in the field of commercial jingles, Turner has been one of the most sought after session vocalists of our time. So I asked myself, "Which direction do I go with this thing?!" That's when I decided to take my chances and wander about. The following interview, done via email, caught Turner between trips to Russia and Turkey. This is a man that is constantly moving, so when I finally had him I wasn't about to leave any one stone unturned. I decided to ask a few questions in each direction of Turner's career, with a focus upon work that may not be familiar to even the biggest fan. The result of the session, as you are about to read, is nothing short of spectacular. Dr. Music: You played Eric Fury in the Made-for-TV movie "Blue DeVille," your first and only film role. What was that experience like, and what is the biggest difference between working in the film industry and working in the music industry? Dr. Music: You've done other work in the film industry as a music supervisor on the documentary film, "Canadian Ballet: Striptease Dancers of the North." Tell me about that experience. Dr. Music: In an interview from February 1993, you're quoted as saying, "I doubt that I would do a lot of covers, not even of my earliest influences. I think that Michael Bolton has done enough of that (laughs)." In the time since then, you have done numerous covers from bands like Queen, Iron Maiden, AC/DC, Van Halen, Metallica, Ozzy, etc. Why the change of heart? 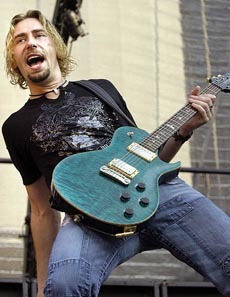 Dr. Music: It is because of your amazing voice that people know you, but you are also a very good guitar player. You recently did an instrumental piece called "Alma D'Alma" with Stuart Smith of Heaven & Earth and Sweet for a compilation album called "Sounds of Wood & Steel" How did it feel to let your guitar playing take center stage instead of your voice? Are instrumental pieces something you might want to do more of in the future? Dr. Music: Your connection with Russia has become something of note. The Concert in Leningrad that you did with Yngwie J. Malmsteen was the largest by a Western artist, and you recently did an album called "Made In Moscow" with Michael Men Project. Tell me about the musical climate in Russia. Dr. Music: Speaking of Yngwie ....There are many horror stories that fly around about his attitude and his difficult personality. You worked on the "Odyssey" album with him at possibly one of the most difficult times in his life, just after he was involved in a car accident that left him in a coma. The album, produced by Jeff Glixman, is spectacular. What was Yngwie like to work with, and would you consider doing something else with him in the future? JLT: “Thank you for your kind words about the album and I agree that it was one of Yngwie's best to date. He was a perfectionist and knew exactly what he wanted. He was not as collaborative as Blackmore, which may be the reason he has a reputation, but I enjoyed working with him because he is also brilliant. I would absolutely consider working with him again if the situation was right." Dr. Music: One guy that you just finished working with, Com Koksal, is a 31-year old Turkish guitarist heavily inspired by Yngwie. What was that like, and can we expect a CD release? Dr. Music: You have worked with legendary names like Cher, Michael Bolton, Billy Joel, Bonnie Tyler, Lita Ford, John Waite, Ritchie Blackmore, etc. etc. Is there anyone that you haven't worked with that you would really like to do something with? Dr. Music: You have done commercial jingles for everything from Cover Girl, to Rescue Heroes, to Little Caesar's Pizza. Do you enjoy this work, and do you ever find it difficult to get inspired when you are singing these? How much input do you usually have in the musical arrangement of the jingles? JLT: “The way I see it... a good singer can emote on the phone book and make it sound great. Singing jingles and these types of things is actually a relief because your soul is not on the line the way it is when you sing something you wrote, or chose to sing on an album or in concert. The weight on your shoulders is not as heavy. I am like a 'hired gun' when I do those jingles and how many singers can actually say they can make a living off doing what they love? I love to sing. Period." Dr. Music: Out of the many different band projects that you have become involved with over the course of your career, is there any one band in particular that holds a special place in your heart? Dr. Music: Is there any one moment in your career that you would call the most memorable? Dr. Music: Your first record with Rainbow was "Difficult To Cure," an album in which the band had already recorded with Graham Bonnet on vocals. Was it difficult to come into Rainbow and sing over backings that were already done? Dr. Music: Is it true that the title of "Straight Between the Eyes" was derived from Jeff Beck describing Hendrix to Ritchie? Dr. Music: Is it fair to say that being fired from Deep Purple was the most difficult time in your career? Dr. Music: "The Cattle Grazes On" is how you have referred to the Deep Purple album "The Battle Rages On," which was the album that Purple released just after you were asked to leave the band. Have you ever listened to the album, and if so, do you hear anything from that album that you had worked on before being fired? Dr. Music: Obviously your relationship with Ritchie is still on solid ground, having recently reworked "Street Of Dreams" with Candice Night for the Blackmore's Night album, "The Village Lanterne." Have you settled your differences with anyone else from the Deep Purple camp? Dr. Music: What is the best work you've ever done? If I had someone who had never heard any of your work, and they had time to listen to only one song, what would you recommend I play for them? Dr. Music: After doing so many different styles in your career, it seems that nothing is out of your reach. If the offer to do something totally different, like a conventional Soul/R&B or Country record came up, is that something you would consider? Dr. Music: I highly doubt there is a performer that stays busier than you do. You are constantly doing voice-overs and studio work, and you are frequently involved with a number of different band projects. Your latest band venture comes by way of Big Noize; a project that includes Vinny Appice on drums, Phil Soussan on bass, and Carlos Cavazo on guitar. Tell me what your plans are for this band. Will you write original music together and tour in support of an album? Do you ever see yourself devoting your time to one single band project again, like you did with, say, Fandango or Rainbow? This interview was something very special to me. 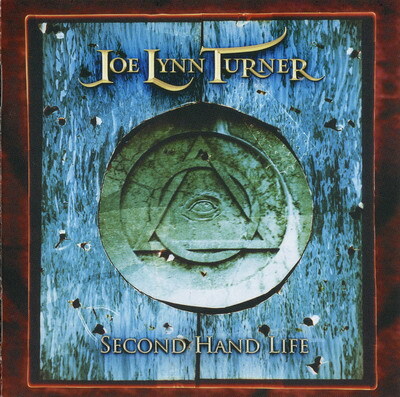 Joe Lynn Turner has been a voice inside my head ever since I was a kid. From the early days of Fandango to his most recent work, he has always been a voice that defined classic rock for me. For him to take his valuable time to sit down and thoroughly answer my questions ever so eloquently is just a dream come true. I would like to send Joe the biggest, most extra special thanks. You really made this kid's dreams come true. Thank you. I would also like to thank Joe's virtual assistant, Lisa Eichholzer-Walker, for arranging things and getting it all to happen. Her immense dedication to her work (and her ability to juggle all of it better than a circus clown) is the reason this interview took place. Thank you.